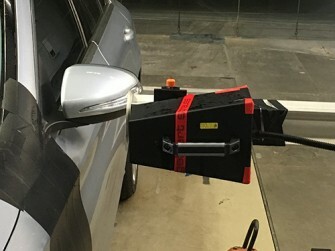 Researchers from the Technical University Darmstadt (Germany) performed a field test in an automotive wind tunnel, from a leading German car manufacturer, and measured the rain drop impact on the side mirror of a car with a SpraySpy system. Prof. Cameron Tropea (TU Darmstadt) was “highly excited” by the easy handling and measurement results for this challenging set up. For more information please see the application note. 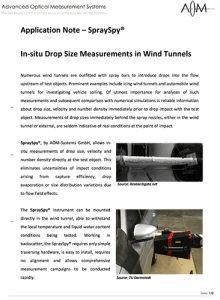 Download link for the application note.